The Los Balandros is a recent residential complex, which was built in 2001. It spans four floors, which are accessed via a lift. The name "Los Balandros" in Spanish means "The Yachts". The outward facing apartments enjoy amazing views of the area and the inward facing ones have views of the three shared pools, one of which is very large, 49m long. 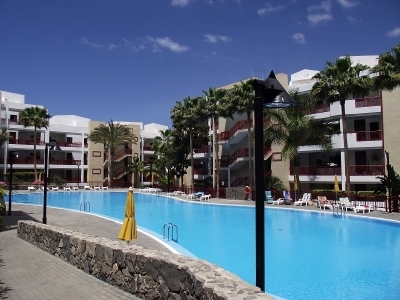 The complex is situated in a great location, as it is in walking distance of the shops, restaurants and the beach. Security is well served, as it is a gated complex. There is also an underground car park, and a childrens' area.